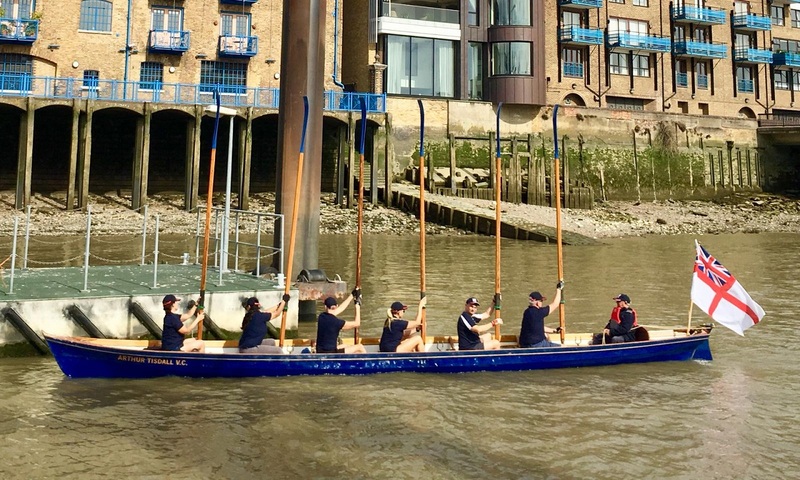 On Tuesday 18 September, HMS President’s adventurous rowing team took part in a brand new event in the rowing calendar, the Sheriffs’ Rowing Challenge, to raise funds for the Sheriffs’ and Recorder’s Fund – a charity set up over 200 years ago to help ex-prisoners get a new start in life. Lieutenant Commander Craig Blackburn, who’s the Operations Officer at HMS President and was host for the rowing event, said: “It was a great pleasure to see the ship’s cutter as part of the Sheriffs’ flotilla, further strengthening the Unit’s connection with the City of London.” Lieutenant Commander Blackburn accompanied various dignitaries on the Londinium III, including the Lord Mayor Elect, Alderman Peter Estlin and his wife, the current Lady Mayoress, Samantha Bowman, and the Clerk of the Goldsmiths, Sir David Reddaway. 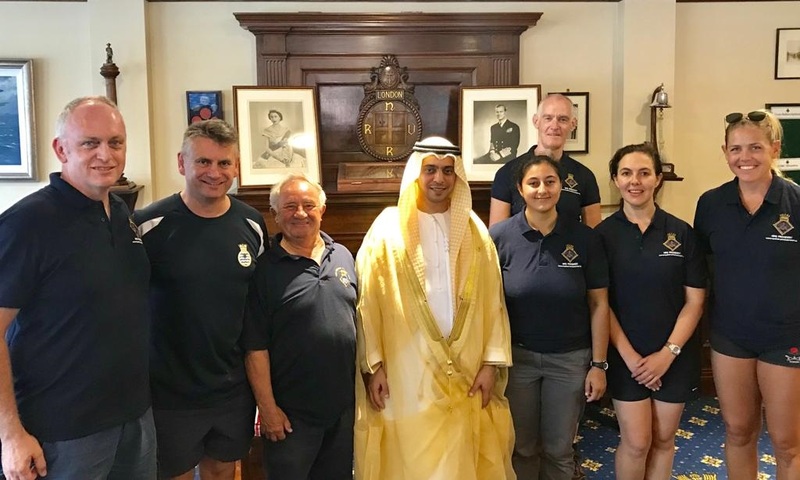 The reception at HMS President was sponsored by Dr Hamed Bin Mohamed Khalifa Al Suwaidi from Abu Dhabi, and was attended by members of the Worshipful Livery Companies, with the newly appointed Sheriffs promising the event would become an annual fixture going forward. 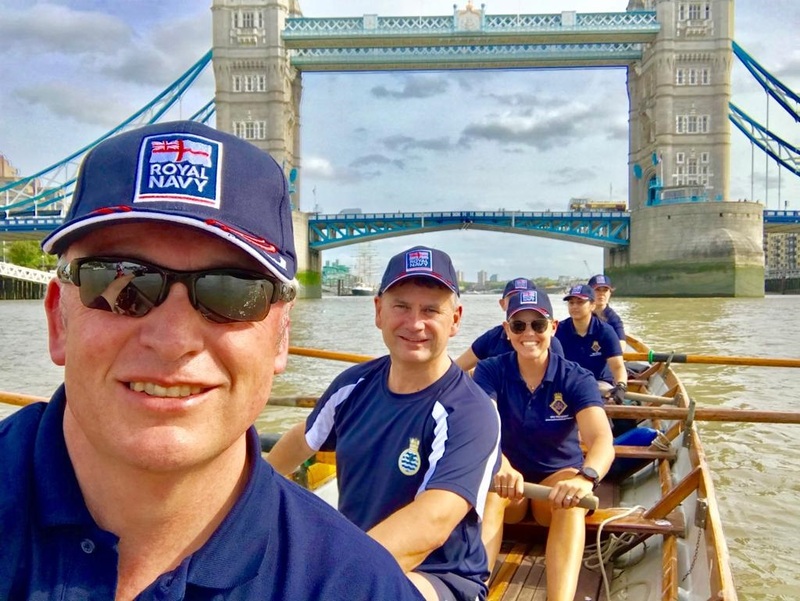 HMS President, by Tower Bridge in London, is home to over 300 reservist officers and ratings who carry out naval training alongside, and in support of their regular Royal Navy counterparts. Many of these dedicated individuals have been mobilised to operational areas and in most cases work around full-time civilian jobs, as well as balancing family life.